← Congratulations of Michael Ertl and Co-workers! 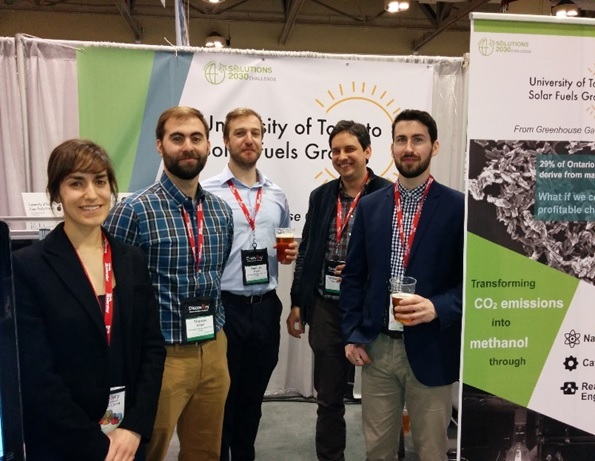 The U of T Solar Fuels Team Showcase its Greenhouse Gas to Fuels Technology at OCE Discovery 2018 at the Toronto Convention Center, which is the leading innovation-to-commercialization conference in Canada. The Discovery exhibition brings together key players from industry, academia, government, the investment community as well as entrepreneurs and students to pursue collaboration opportunities, and it is with much excitement that U of T Solar Fuels Team looks forward to participating. A video is posted at the U of T solar fuels team’s greenhouse gas to fuels G2F website. More information can be found on the Discovery 2018 website.